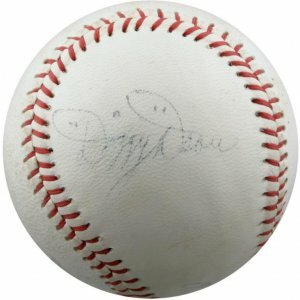 Stellar 1973 Boston Red Sox Signed Ball, Obtained Directly From Yaz. 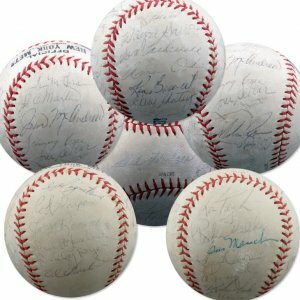 1979 San Diego Padres In-Person Team Signed Ball. 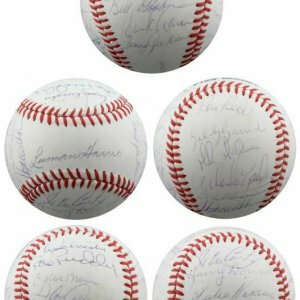 Vintage 1969 World Champion Miracle Mets Signed Ball w/Seaver, Ryan, et al. 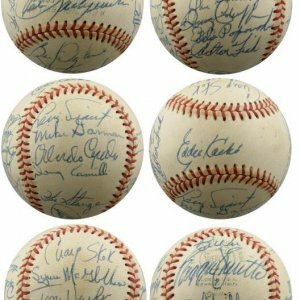 Vintage 1968 New York Mets Signed ONL Giles Ball, with Hodges, Seaver and Ryan, etc. 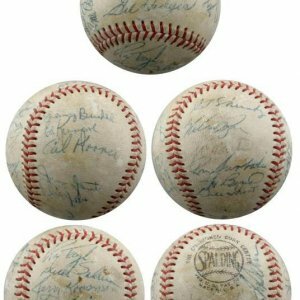 1974 Baltimore Orioles Team Signed Game Used OAL Ball. 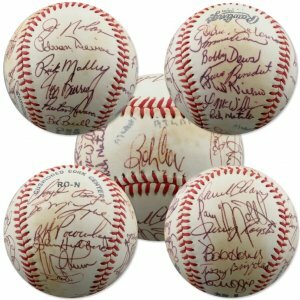 1979 Atlanta Braves In-Person Team Signed ONL Ball. 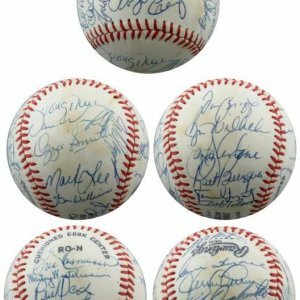 Mint 1970 Atlanta Braves Team Signed ONL Ball. 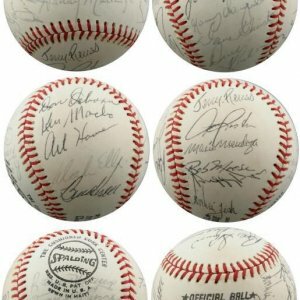 NrMT 1975 Pittsburgh Pirates Team Signed ONL Ball. 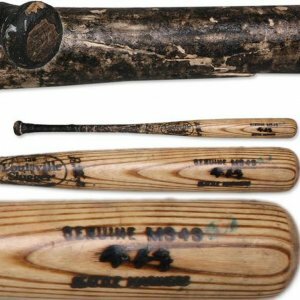 2002-03 Edgar Martinez Mariners Game Used Bat. 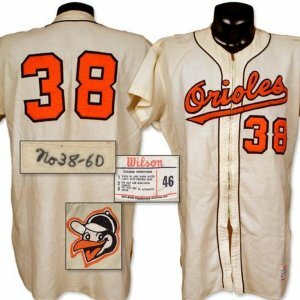 1960 Baltimore Orioles Jerry Walker Game Worn Flannel Jersey. 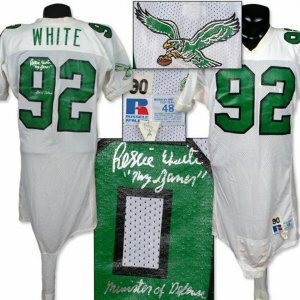 1990 Reggie White Game Worn Jersey, Signed & Inscribed. 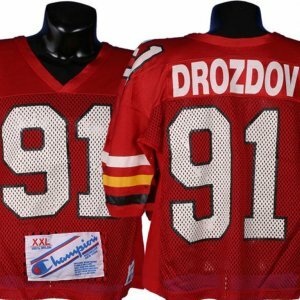 Early 1990’s Darren Drozdov Game Worn University of Maryland Jersey. 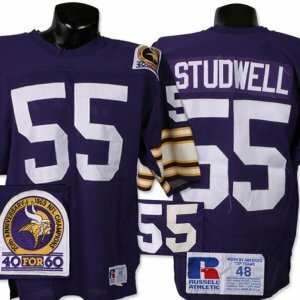 1989 Scott Studwell Game Worn Jersey. 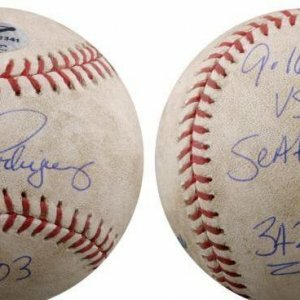 2003 Alex Rodriguez Home Run #342 Game Used Baseball. 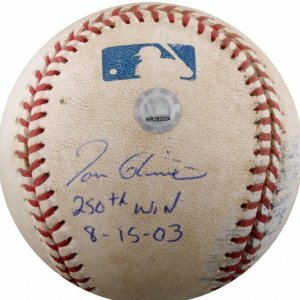 2003 Tom Glavine 250th Career Win Game Used Baseball. 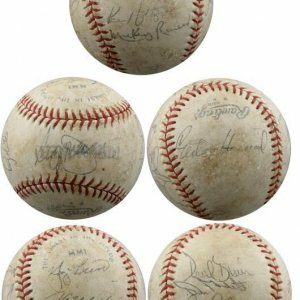 Tim Hudson Single Signed Baseball Lot (12). 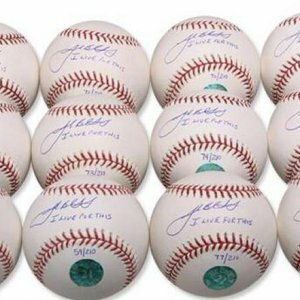 Josh Beckett Single Signed “I Live For This” Baseball Lot (12). 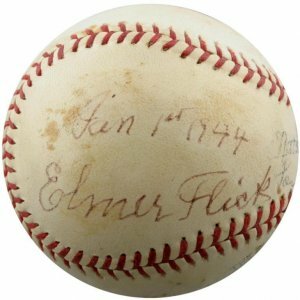 RARE HOF Elmer Flick Single Signed ONL Ball, Dated 1944. 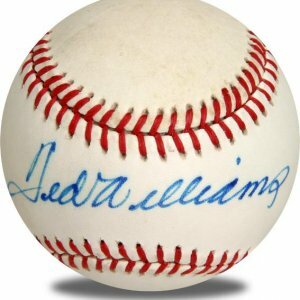 Dizzy Dean Single Signed Baseball. 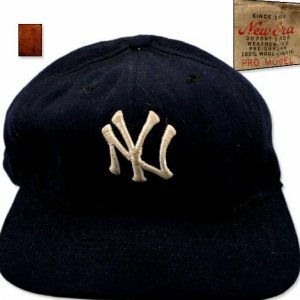 2003 Alex Rodriguez(COA) Game Worn Rangers Jersey See Related Content For LOA From ARod. 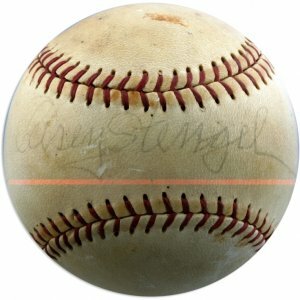 HOF Casey Stengel In-Person Single Signed Baseball. 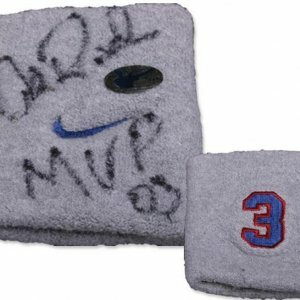 2003 Alex Rodriguez Rangers Signed Game Worn Wristband. 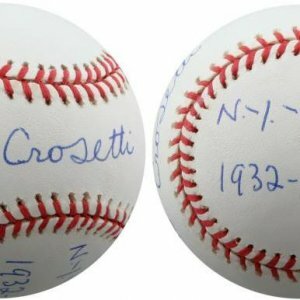 Stellar Frank Crosetti Signed & Inscribed OAL Ball. 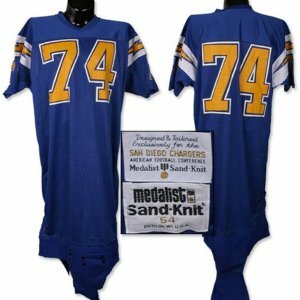 Mid-1970’s Louie Kelcher Game Worn Jersey. 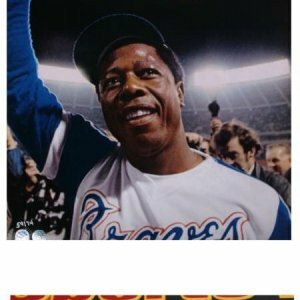 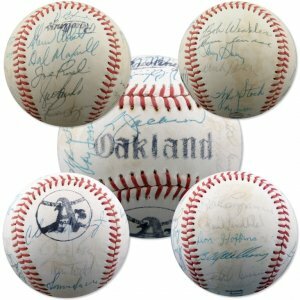 1975 Oakland A’s Team Signed Baseball With Reggie Jackson, Billy Williams, et al. 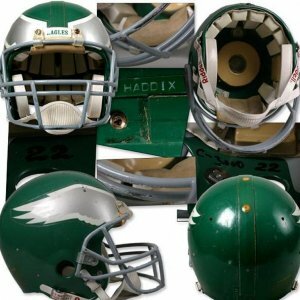 1983 Michael Haddix Game Worn Eagles Helmet. 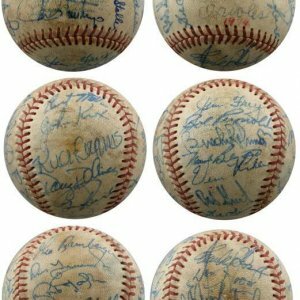 1954 American League All-Star Team Signed Baseball with Mantle, Williams, Fox. 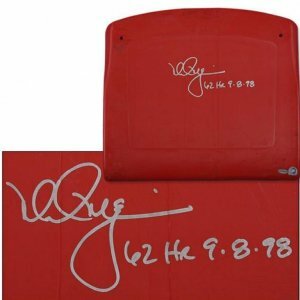 Mark McGwire Signed Busch Stadium Seat Back Signed As “Mark McGwire 62 HR 9.8.98”. 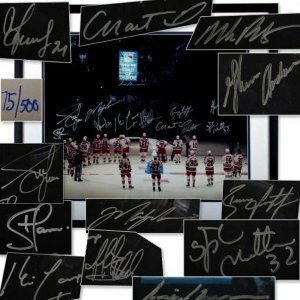 1994 NY Rangers 16×20 Photo Signed by 12. 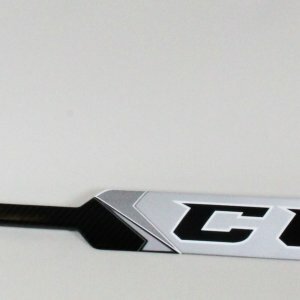 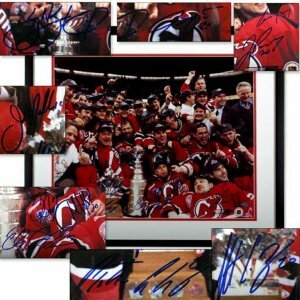 2000 NJ Devils Signed 16×20 Photo. 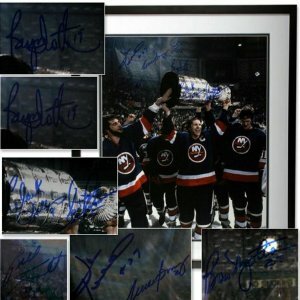 NY Islanders 16×20 Photo Signed by 9. 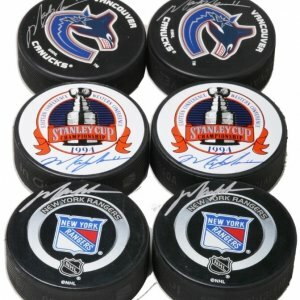 Mark Messier Lot of 6 Signed Pucks. 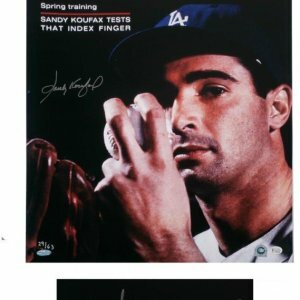 Sandy Koufax Signed Large Photograph. 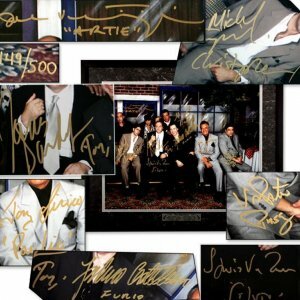 Hank Aron Signed LE 59/74 SI 16×20 Photo. 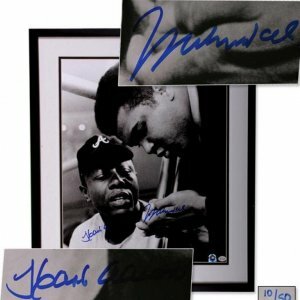 Muhammad Ali Signed Large Photograph with Michael Jordan. 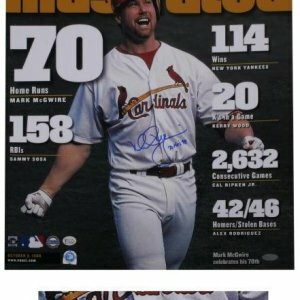 Derek Jeter Signed 16×20 SI Photo. 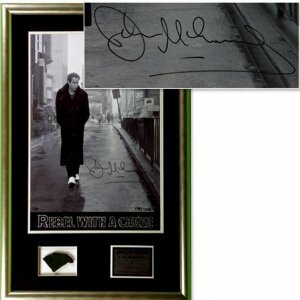 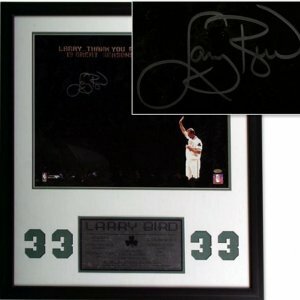 Larry Bird Signed Large Photograph. 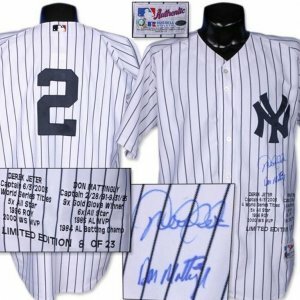 Derek Jeter & Don Mattingly Signed Jersey. 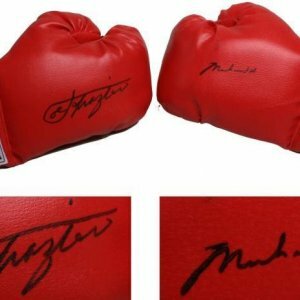 Muhammad Ali & Joe Frazier Signed Boxing Gloves. 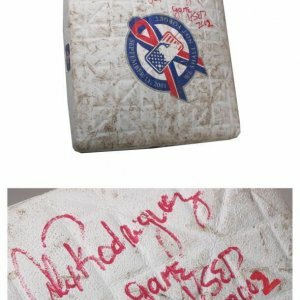 Alex Rodriguez Signed Game Used Base from 9/11/02. 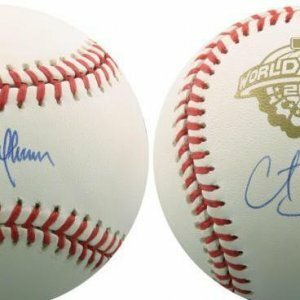 Randy Johnson & Curt Shilling Signed 2001 WORLD SERIES Baseball. 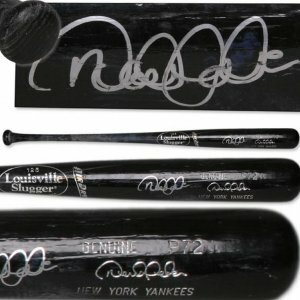 2003 Derek Jeter Signed New York Yankees Game Used Bat with Jeter LOA. 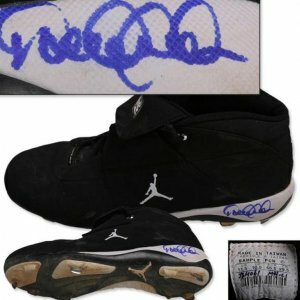 2003 Derek Jeter Yankees Signed Game Worn Single Spike. 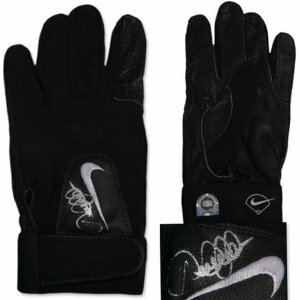 2003 Derek Jeter Yankee Signed Game Worn Batting Glove. 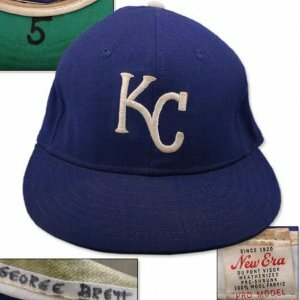 Late 1970’s George Brett Game Worn Cap. 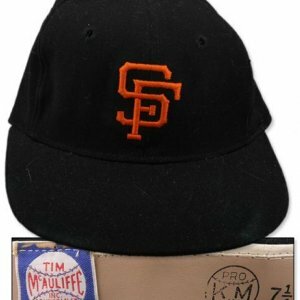 1959 Darryl Spencer Game Used Hat. 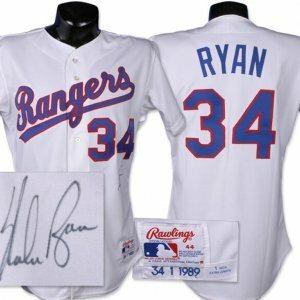 Nolan Ryan Signed Rangers Jersey. 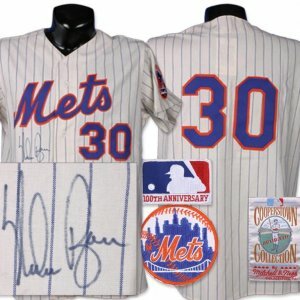 Nolan Ryan Signed Mets Jersey. 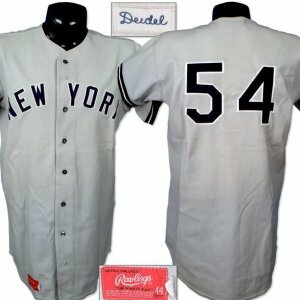 1975 New York Yankees Game Issued Jersey. 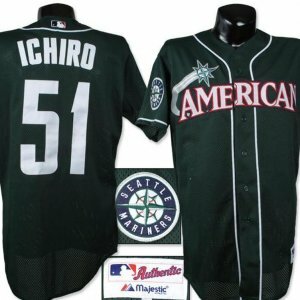 2001 Ichiro Suzuki American League All-Star Pre-Game Worn Jersey. 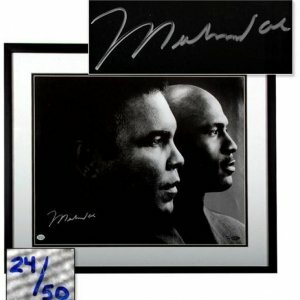 1993 Bo Jackson Signed Game Issued White Sox Jersey.